By choosing the right residential door builders can play a crucial role in helping to future-proof UK properties, says Permadoor. 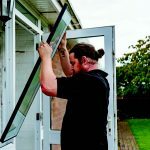 Household budgets might be tight, but it’s important for builders to remind potential customers, that installing the most competitively priced product into a home does not necessarily represent best value in the long-term. Rather, it is important to consider whole-lifecycle cost and to choose products that help secure housing stock for the future. Future-proofing is about maximising the whole life value of products as a way to address unpredictable, ongoing change. Thermal performance, reduced schedules and durability are all examples of factors that must be kept front of mind. Conversely, future proofing goes beyond performance and also takes into account aesthetics – selecting products that have long-term visual appeal and complement a building for many years to come. When choosing an entry door, or a front door, there are a number of important considerations. Whether specifying for a new-build or modernising an old building, it is important to select doors that combine strong design with increased comfort, security and energy performance for home owners. 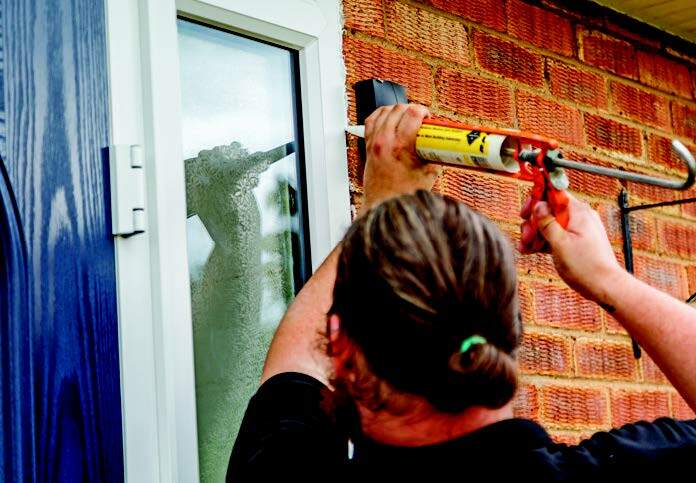 Composite doors are made from a number of different materials, which are pressed and glued together under high pressure. The individual materials are specifically selected for their inherent properties which, when combined, counteract common flaws in single-material doors. As such, composite doors combine high performance, excellent thermal efficiency and low maintenance. They are aesthetically pleasing, available in a range of colours and offer a real wood grain appearance, making them ideal for an array of housing applications. Furthermore, they are highly resistant to denting, warping, splitting, peeling and fading. Installation is straightforward and the lock cylinders are easy to change. Glass Reinforced Plastic (GRP) or Thermoplastic? 25mm) and a Stanley knife. Solid timber core doors also tend to be better at withstanding a brute force battering ram style assault. 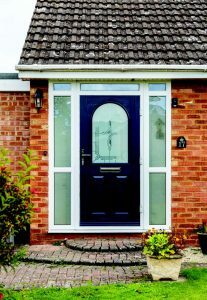 Both types of composite door perform outstandingly, it is simply a question of picking the option which best suits the application. Permadoor has 28 years’ experience as a specialist manufacturer and supplier of GRP and thermoplastic composite doors to the market. Rob Hartill, Commercial Director at Permadoor asserts: “We have been supplying composite doors for well over two decades now and in that time we’ve learnt a lot about the specific needs and requirements of the market. “We understand that future proofing properties is critical – installing a product that will perform to the highest standards, while also creating the right look and feel for residents. Our composite doors combine traditional looks with the benefits of high performance and low maintenance. A wide choice of colours, styles and accessories, as well as bespoke sizing, means they are ideal for a range of projects.